Maruti Suzuki is all set to launch the new 1.5-litre diesel engine on the Ertiga. It is likely to come equipped with a new 6-speed manual transmission and the MPV is expected to weigh 1,220-1,225 kg (kerb weight). It is said that essential documents have been submitted at all local RTOs to get permits for registration. Factory dispatches are expected to begin very shortly. Maruti has developed the BS-VI ready 1.5-litre, 4-cylinder diesel engine in-house. It is rumoured to produce 94 BHP @ 4,000 rpm and 225 Nm of torque @ 1,500-2,500 rpm. The new engine is said to be lighter than the Fiat-sourced 1.3-litre unit it replaces. 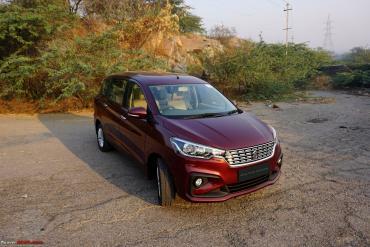 The same engine will be offered on the Ciaz and other Maruti Suzuki models in the future.